Avoid going through Tralee town by taking a right at first traffic lights (after going through two roundabouts), after second lights, go through next roundabout, go through next lights. At next lights turn right on Route 551 north towards Ardfert; go left (at roundabout) on Route 558 towards Spa/Fenit; 1/4 mile beyond Oyster Tavern, Spa, at fork go right towards Churchill/Barrow. Follow signs to Tralee Golf Club. 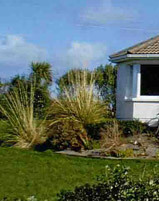 Lark Cottage is situated 200 hundred yards before you reach the golf club. Take N22 to Killarney, then N21 to Tralee. Take N67 through Kilkee, Kilrush and Killimer, then ferry to Tarbert. In Tarbert take N69 and at end of Listowel town continue on N69 (over bridge and right) for half a mile. Turn right on Route 557 to Abbeydorney and Ardfert. Turn left in centre of Ardfert village; then take third road to the right for Barrow and Tralee Golf Club. 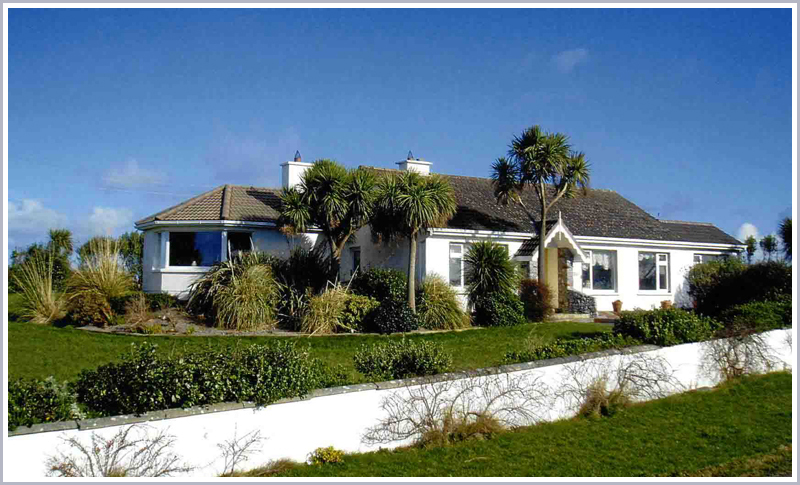 Lark Cottage is situated 200 hundred yards before you reach the golf club. 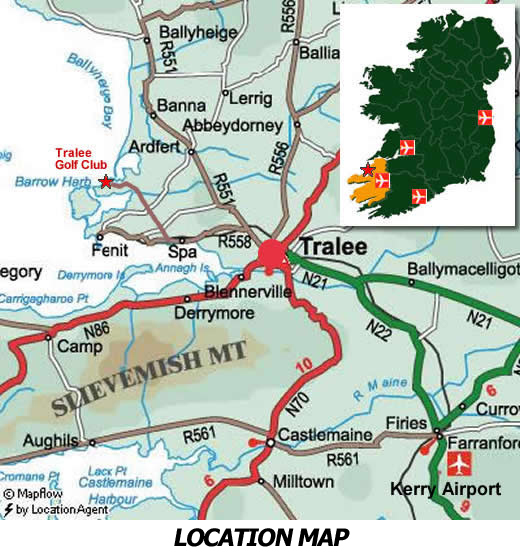 Take Route 557 to Abbeydorney and Ardfert Turn left in centre of Ardfert village; then take third road to the right for Barrow and Tralee Golf Club. Lark Cottage is situated 200 hundred yards before you reach the golf club. Take N70 to Caherciveen, Glenbeigh, Killorglin and Tralee. You will then be looking for Route 551 to Ardfert, turning left at roundabout for 558 to Fenit. 1/4 mile beyond Oyster Tavern, Spa, at the fork go right towards. Lark Cottage is situated 200 hundred yards before you reach the golf club. 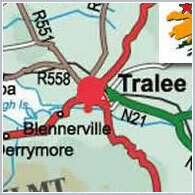 From Tralee take Route 551 north towards Ardfert; go left (at roundabout - 1 mile on) on Route 558 towards Spa/Fenit. ¼ mile beyond Oyster Tavern, Spa, at fork go right towards Churchill/Barrow. Follow signs to Tralee Golf Club. 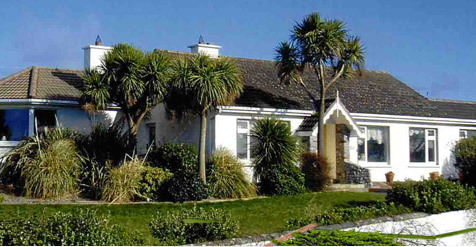 Lark Cottage is situated 200 hundred yards before you reach the golf club. Click on the above map to zoom it further. Click on the image to see our full mileage chart. Please use the following map for more details.